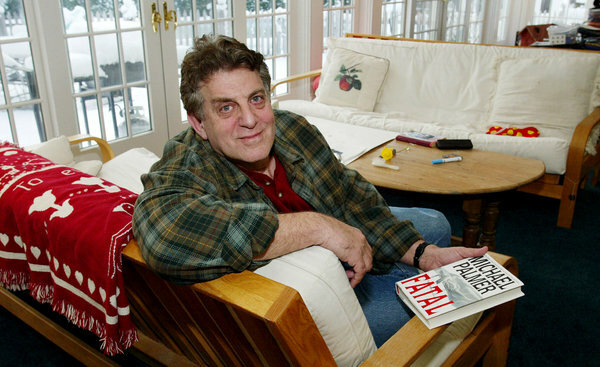 Physician Michael Palmer, who began writing in 1978 to escape alcohol and drug addiction, died on October 30, 2013. After retiring from clinical practice in the mid 1990’s he became associate director of the Massachusetts Medical Society’s Physician Health Services, a nonprofit organization that provides doctors with confidential mental health and substance abuse help. The author of such top sellers as Extreme Measures and Natural Causes, he died a day after having a heart attack while returning from an African safari. Read his full New York Times obituary here. His 20th novel, Resistant, will be published in May and holds have been placed for BSC patrons. No more books are planned, and he will be taken off of the BESTSELLER Club author list. This entry was posted in 2014, About the Authors, Upcoming BESTSELLER and tagged michael palmer. Bookmark the permalink.